I’m a sucker for a good bag, so when I visited HPRC (High Performance Resin Cases) at Focus on Imaging recently, I was intrigued by the build quality and durability of their cases. They’re an Italian company not yet established here in the UK, but I’m sure they soon will be. 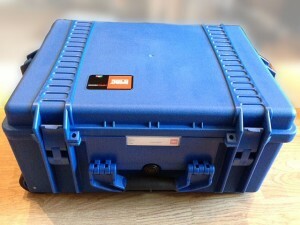 I’ve been doing a fair amount of international work lately and I’d been on the look out for a good quality hardcase suitable for protecting my Elinchrom Quadra lighting kit in-flight, that wasn’t going to break the bank. On first inspection they look pretty similar to the rugged Peli cases, but the price points and internal options are what makes them different. The thing that impressed me most about these cases was the attention to the needs of the photographer. The internal space can be fitted with multilayered sectional foam which is adaptable to all types of objects. However, you can also buy a padded interior bags that make carrying the equipment around at the other end really simple. A lot of thought has gone into the design of the internal fittings, the recessing of the handles, the placement and integration of the wheels. 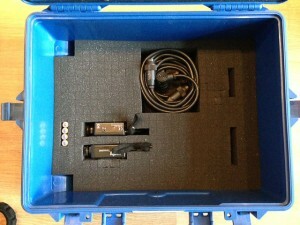 Handles on any portable cases are vulnerable as they take most of the weight, however is this case the quality is spot on, highly durable, completely water tight and comes with an ‘all parts’ life time guarantee. What’s not to like? I couldn’t not have one. 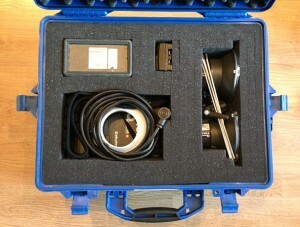 Here’s how I configured my 2600W case to include the Elinchrom Quadra lighting kit. HPRC don’t yet have a UK website, but they will ship to the UK at very reasonable rates. I’m definitely thinking of getting another of these cases soon. Here’s a humorous advert showing the durability of their cases.